You may have heard about a wee bit of an argument which broke out last week on the This Morning sofa. 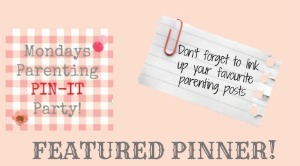 I am not going to go into it as I don't think it needs mentioning again but it got me thinking about one aspect of my parenting which I didn't get into as much as I thought I would during my pregnancy. Baby wearing. Using a sling. Carrying my baby on me as our main form of transport. I was gifted an Oyster Baby sling during a visit to The Baby Show by my mum. I admit I fell for the print and super soft stretchy fabric. It felt comfy on and I liked the multi positional holds the wrap could support. Here is me on our first outing. Looking back she was a bit low. Also I went out wearing her too soon. I came back feeling sore in my scar and back. Because this tied around my middle it put quite a bit of pressure on my scar site. We had always wanted to get a BabyBjorn for J to use. He wanted to use it for walks and thought the fabric sling looked to girly! We waited until L was here so we could try her in it on J before we brought it. We got the miracle. This BabyBjorn offers variable weight distribution between your shoulders and hips which we both liked. It fitted us both with easy adjustments if we switched carriers during an outing. As soon as this carrier arrived I preferred it. It was easy to get on. Securely carried L. I liked how easily I could shift weight bearing while out. L was snug in this and seemed to prefer being in this one rather than so closely carried in the Oyster. She easily and often fell asleep in this carrier when we were out. I also loved how quickly L and I could get out and about in it. The liberation of baby wearing! I returned to the Oyster a few times. During particularly colicky days and when we were moving house. I loved how L's weight was distributed so far across my back which was more comfortable than the Bjorn. But it is a faff to get on and tight enough to securely hold L. I also noticed a small tear in the fabric on the front panel. During the last time I wore this sling L moved further and further down my front, it made me weary of using it again, especially with the tear in the fabric. So I haven't got into baby wearing in the way I thought. 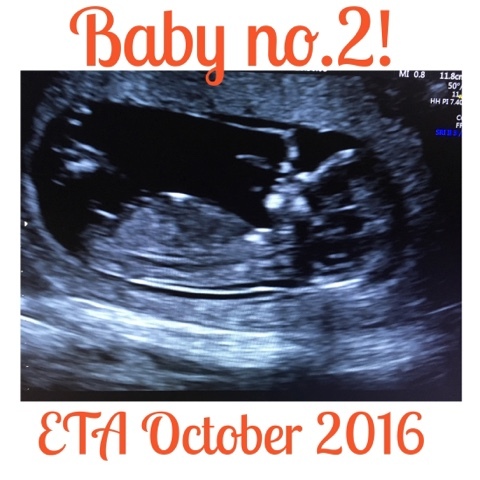 I think it was a combination of not being able to do it as quickly following my caesarean. 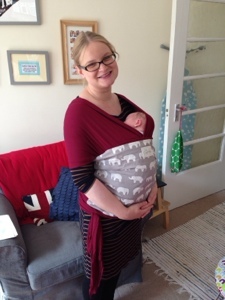 Not having a completely comfortable sling which met all my desires and an increasingly heavy baby. I was prepared to do lots of baby wearing as my mum had to with me, I wouldn't settle unless in her sling. I recently asked for advice on how to get my baby to sleep while we were out and about. She is such a nosey so and so and just wants to watch the world go by rather than nap in her pushchair. Lots of advice came back, most of it suggested baby wearing as a way of helping her sleep. I do love wearing L, it is liberating and I do adore the closeness (an enforced hug from my hug adverse baby!). 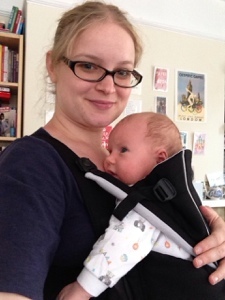 But I am yet to find a sling which really works for us for this attachment parenting B. Also L is such an independent baby, actively pushing me away so she can sleep, I am not sure Baby Wearing will be our sleep long term solution. Which is your favourite sling? Is baby wearing something you do regularly? Ah such gorgeous photos! 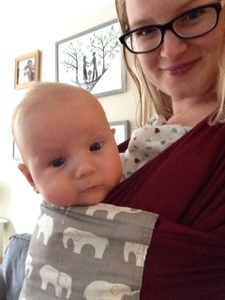 Personally my favourite sling for 0-6months was a stretchy wrap, I used a Cot2Tot one. And for shorter journeys a ring sling. However now j absolutely love my Ergo, back carries are a breeze and it distributes the weight evenly so it's never uncomfortable! Lots of people seem to love the Ergo. How easy is it to get baby on your back when you are by your self? Bloody Katie Hopkins, she makes my blood boil! Oh thanks for sharing your post. Is the baba sling the one which carries them in a cradled hold? I also am not a fan of the faff and the slipping down which no matter how tight I tied it still happened.